This entry was posted on Tuesday, August 16th, 2016 at 7:42 pm. As most of you know by now, I write for Horse & Style Magazine, a job I absolutely love! With it, I get to marry together two of my most favorite things: horses and writing. Recently, Horse & Style published its first one-off magazine, Horse & Style Weddings. It was a smashing success!! 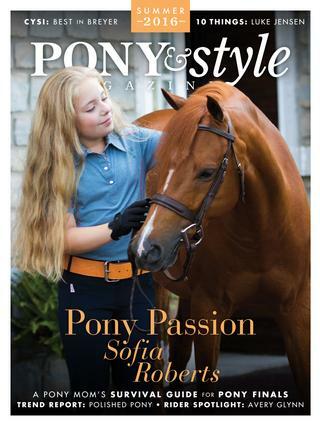 Since then, another one-off magazine has made its debut – the first issue of Pony & Style Magazine – and it is just as cute and adorable as you would think it would be. [Insert smiley face with heart eyes emoji]. I was very honored to write the cover story – a feature on superstar junior rider, Sofia Roberts. You can find the issue online, and you can also purchase it through Horse & Style’s store. You’ll love it – I promise!